Guisadong upo is one of the sautéed vegetable dishes popular in Philippines more commonly on provinces where bottle gourds are abundant. 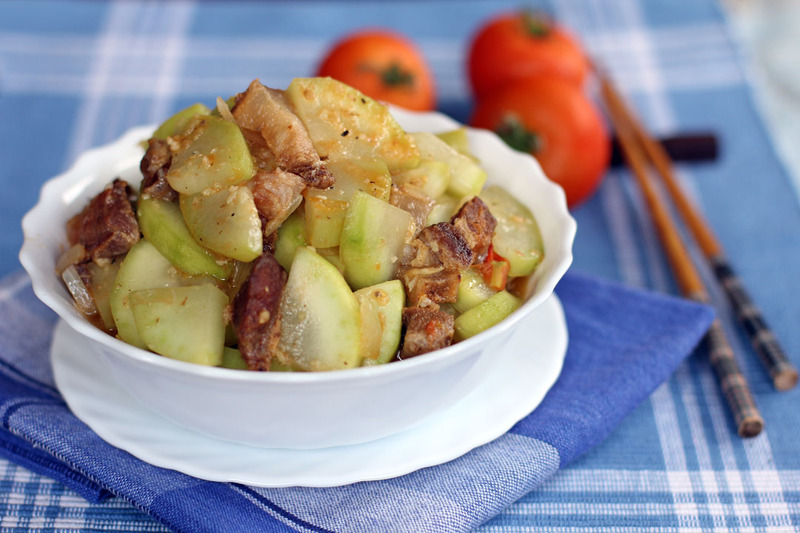 This cheap and simple dish usually is made out of 3 main ingredients which are pork, bottle gourd and tomatoes. A simple yet rich dish which is enjoyed as mains paired with rice but if the budget can extend a bit further having fried galunggong (Mackerel Scad) is the best combination. 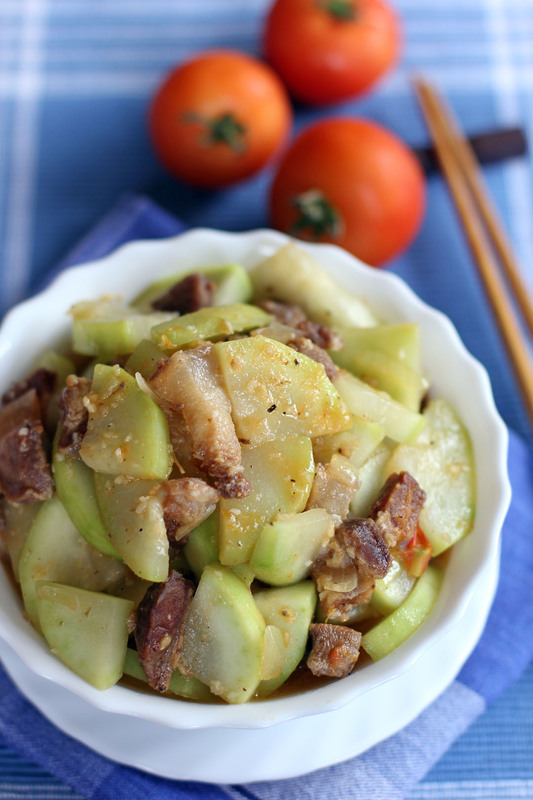 Try this humble yet good recipe which I will definitely recommend if you love vegetables. I am very keen on this type of dish for everyday cooking and am a great vegetable lover. Don’t think bottle gourd is available in rural Australia tho’, so daresay some large form of zucchini is the best makedo variant? I never tried this on a zucchini but I guess it would work on it as well. I love opo squash..one of my favourite gourds/squashes. Indian cooking uses it alot too and I love it sweet and savoury. This stir fry looks simple and delicious. That looks like an exotic and rare dish. THanks for sharing! This is one of my favorite dishes! Its a type of mackerel, smaller in size. Also known as “galunggong” in the Philippines. I’m first attracted by your pork belly. 😉 Looks delicious!